The #Cabinet of #Ministers of #Ukraine has recently established the #Export #Credit #Agency in the form of a private #joint-stock #company. The main objective of the Agency is to promote sales of #Ukrainian #goods and services abroad. In particular, the Export Credit Agency will insure #export credits, #foreign #trade #agreements and #direct #investment. On 7 February 2018, the Cabinet of Ministers of Ukraine established the Export Credit Agency in the form of a private joint-stock company. The respective resolution was adopted at the government meeting. The main objective of the Agency will be to promote the expansion of Ukrainian goods and services abroad. 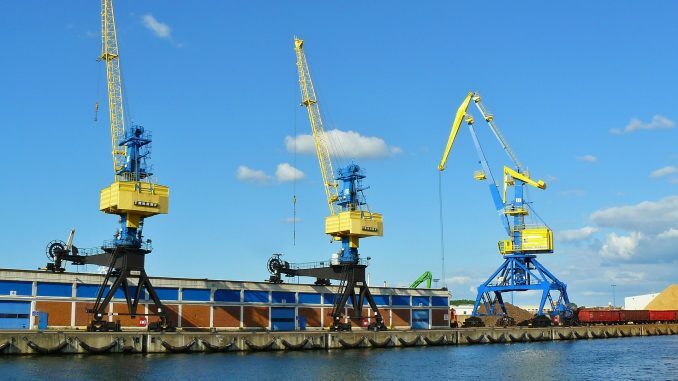 The Export Credit Agency is set to insure export credits, foreign trade agreements and direct investments from Ukraine. In addition, the Agency will participate in the implementation of programs for the partial compensation of interest rates on export credits, provide guarantees for the fulfillment of obligations by Ukrainian exporters in their participation in international tenders and provide consulting services. According to the text of the resolution on establishing the Agency, the Agency’s state-owned corporate rights shall be managed by the Ministry of Economic Development and Trade. The said ministry will also be responsible for measures related to the implementation of the private placement of the private joint-stock company shares. In particular, it should ensure the process of issuing and placing the first 200 thousand shares. The shareholders of the company can be both the state and individuals and legal entities. The Supervisory Board of the Agency – as well as the Management Board – will consist of 5 members. The authorized capital of the Export Credit Agency will be UAH 200 million and will be financed from the state budget of Ukraine. The Cabinet of Ministers has also approved the Charter of the Export Credit Agency, the Supervisory Board Rules of Procedure, the Management Board Rules of Procedure, the Audit Commission Rules of Procedure, and the procedure for selecting members of the Supervisory Board.